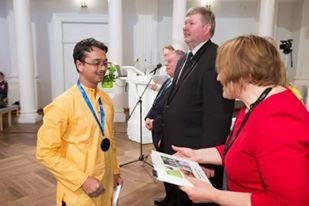 I am very happy to announce that India has won yet another silver medal at the 23rd International Philosophy Olympiad held at Tartu, Estonia (Results of IPO - Estonia). This was also Abhishek Dedhe's second silver in two years of participation. This year about 40 countries participated in the Olympiad which included Japan, Korea, Bangladesh and India from the Asian continent. There were countries from all over Europe and the Americas as well. About 90 high school students battled to demonstrate their power of intellect and argumentation and to present a coherent understanding of philosophy. Please read further to know what we experienced between the 14th to the 18th of May, 2015, in Tartu. Like every year the students were given topics from different areas of philosophy. The topics are quotes / questions posed by philosophers from different parts of the world. Students are expected to choose one out of four topics to write an essay upon in about 4 hrs. The essay should give a coherent interpretation of issue that the author is presenting, without having to know anything about the author otherwise. The essay should then give a convincing argument as to why the student agrees with or disagrees with the author. More stress is put on the students maturity in presenting logical arguments and his/her understanding of the different philosophical aspects covered by the quote. Nihar Kulkarni (Ahmednagar) and Abhishek Dedhe (Pune) were selected from two rigorous rounds at the Indian Philosophy Olympiad. 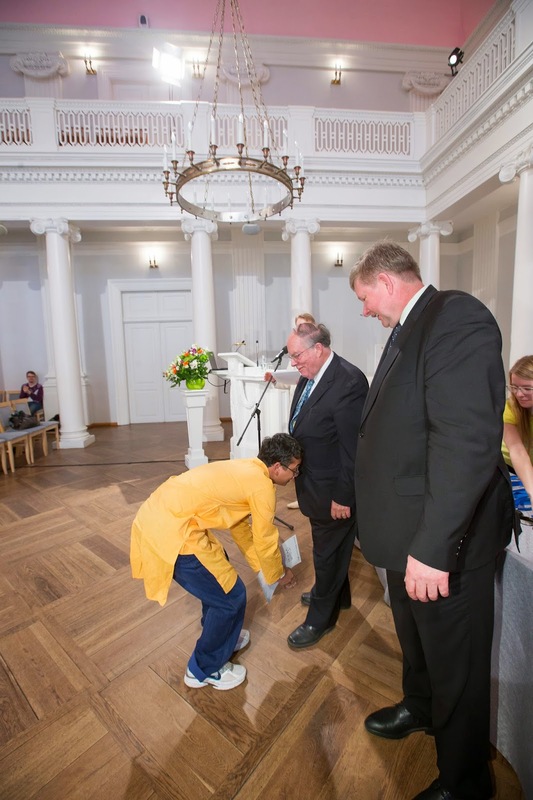 Abhishek had previously been to the IPO in Lithuania (2014) and won a silver medal. Nihar and Abhishek were then trained online (through hangouts and blog) and in the month of April, brought together for a camp at Abhinav Vidyalay, Dombivli for a period of about 2 weeks. The training was exhaustive discussions in Ethics, Epistemology, Aesthetics and Praxeology with some time also spent doing Metaphysics. It used to be a daily 14 hour grind in analyzing and discussing quotes and different philosophical positions. (isms) It was indeed a steep learning curve for these two and the other students who are preparing for the next Olympiad. 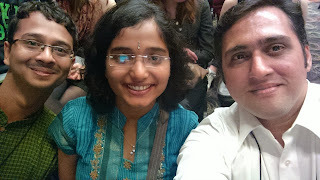 Even the teachers - me and Pooja Bilimogga - felt totally exhausted at the end of the day. We journeyed from Riga (a port in Latvia) to Tartu (Estonia) on the 13th of May, 2015. While in Riga we spent some time at the Natural History Museum which was an immensely fulfilling experience as both Nihar and Abhishek are avid nature enthusiasts. From hundreds of species of butterflies and other insects to all sorts of birds and animals to fossils of extinct species ... we saw it all. Once at Tartu the pressure of the competition started showing. The weather was beautiful and the people very helpful and jovial. 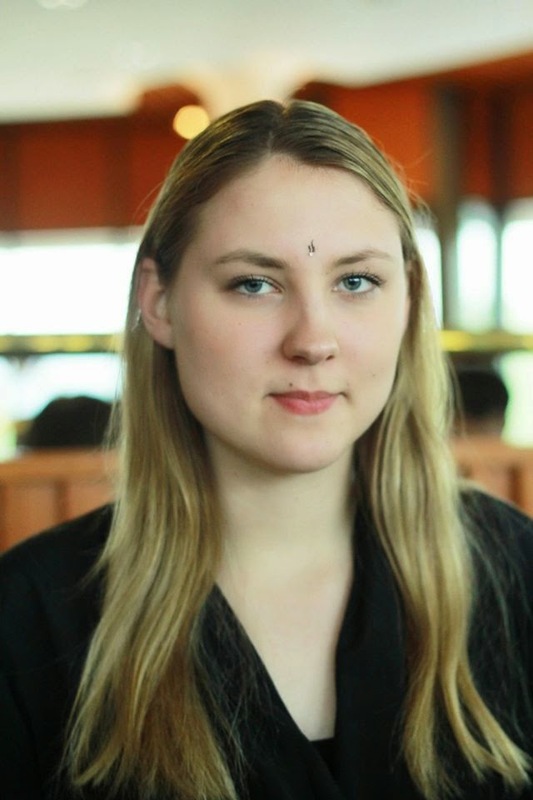 The other teams had started arriving and our students were soon making friends with the Bangladeshi's and the Estonian's and the Germans and so on... And yet the aura of the exam remained. After the competition was done, the true colors of the IPO came to the fore. The IPO is more of a meeting of minds then a mere competition. Students and teachers of different nationalities gelled together like they were the best of friends, although most of them had met for the first and probably for the last time. There was good-hearted banter on one hand and intense discussions on the other. There was laughter and games and exchange of thoughts and gifts and addresses. Above all there was a strong vibrancy in the air. Each year it is interesting to watch this from the corner (if you can afford to stay in one for long) as if it is one large creature engaged an exquisite and enthralling dance. While the students were enjoying the activities, we the teachers were busy evaluating their essays. The international jury comprises of the teachers from different participating countries who are competent to read philosophical essays in at least one of the official languages - English, French, German or Spanish. There were about 75 of us. The jury split into groups of four with each group comprising of two senior (read experienced) members and two members who are new to the IPO experience. Each group gets 5-7 essays to read. Each member of the group then reads a common essay and then discusses what he or she thinks about it. This way, if one of us has missed some relevant point, it can be brought into notice by the other three. After a good discussion each member is free to retain his / her point of view and then mark the essay. No teacher is given to read the essays of their own students. One thing I must make clear here, is that in Philosophy there is no single "correct answer". Philosophy is about the viewpoints and about reasoning as to why one's point of view is better to explain a certain phenomenon or to understand a certain idea. The teachers are also from different traditions of doing philosophy from different parts of the world. Hence there is a natural bias in their evaluation. The idea of four people evaluating it independently is helpful in reducing this bias. Also, the discussion in groups helps everyone get a more complete perspective of what the topic is and also what the student is trying to say. If there is a difference of more than 3 marks, then a 5th assessor is involved. The students whose average mark hence is above 7.5 are considered for the next level. Here again two different assessors go over the paper and a final average is taken. Finally the international jury comes together to see the result of these two rounds. Those who have received above 7.5 marks are chosen to be sent to the steering board to be evaluated for a medal. Those who may have just missed the bus are recommended by the jury for an honorable mention. The steering board which is made of three FISP members and two members from among the teachers, choose which medal should a particular essay receive. The steering board usually works late into the night so as to give the organizers time enough to prepare the awards. And then the day arrived that all had been waiting for. 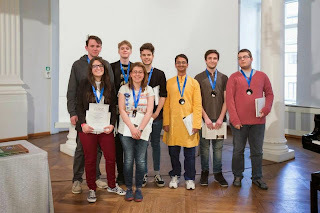 All teams were dressed up and ready for the final ceremony which began with a nice talk about the possibility of Uralic-Altaic philosophy and proceeded to a few songs by a local choir. When we thought that the next announcement will be for the medals, the organizer Leo Luks would treat us to another beautiful song instead. Finally the medal announcements began. First were the honorable mentions and there were 19 in all. As each student got up to receive the award, everyone clapped loudly. It did not matter whether the person was from the same delegation or not. Everyone knew everyone else. Even as teachers we had often interacted with the students from other countries, often intensely. Then again the cheering was louder for the more popular students as is always the case. Then came the bronzes. As each announcement was made, I am sure every student (and probably a few teachers as well) felt the nervousness. Maybe the next name will be mine (or my students's) ... and if not, then maybe my name will be in the next category ... and so on. But as the categories advance you can sense a little dejection in the air. Nevertheless, the applause builds up to a crescendo right up to the last gold. This after all is the proper spirit of competition. This after all is what the students learn as an essential life-skill. And thus the ceremony was over - Abhishek won a silver. For a moment and a moment only, I looked at Nihar's face expecting dejection and expecting to feel depressed myself. But, Nihar is a different mind entirely. Maybe there was a fleeting sadness in there somewhere, and there should rightfully be. But she not only cheered me up, but also back to her flamboyant self in no time. And one would expect Abhishek to be on cloud nine, but he was, and is, a very grounded person; always rational; always sensible. There were many pats on the back and photos taken and soon the farewell dinner began. Within no time, everyone had forgotten all about the results and who won the medals and all that, and everyone was happily dining and chatting, singing and dancing until the night almost turned into day. I remember laughing like crazy after a long time, though I don't really remember what we all laughed about. Happy Minds ... Heavy Hearts! The next day was pretty hard to wake up to ... and not so because of the hangovers ( ;) ) ... but rather because we would be bidding goodbyes to each other. Some teams had to leave immediately after the ceremony, while some soon the day after. I remember the Finnish teacher and my dear friend (Juha Savolainen) telling me that one of his students had to give his IB boards' final exam the day after the IPO. The Indian team however had a couple of days to spend in Tartu and then Tallinn (the capital of Estonia). We visited the AAAHA science center and saw and did a lot of wonderful things there. Then we peeked at the Astronomy Observatory and then some shopping. 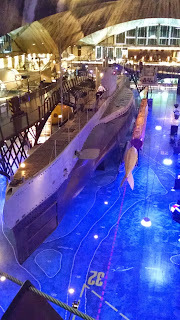 In Tallinn the most interesting things we saw were a hot-air balloon ride and a fantastic sea-plane museum which housed a real soviet era submarine, the oldest relic (ship) found, some sea-planes, tanks and anti-aircraft guns among other things. These were sights to make one go crazy ... I know ... I did. We watched the sunset over the harbor and discussed how marine trade led to some very important discoveries on mankind. The next day we were on a flight back ... With happy minds and heavy hearts ... as THIS is the IPO feeling. This quote by Marcus Aurelius should take you on a tour of personal ethics, politics, human rights and self-interest. Post your essay today itself as a comment to this blog-post and not in the Facebook page. Different things delight different people. But it is my delight to keep the ruling faculty sound without turning away either from any man or from any of the things which happen to men, but by looking at and receiving all with welcome eyes and using everything according to its value. When all are guilty, no one is; confessions of collective guilt are the best possible safeguard against the discovery of culprits, and the very magnitude of the crime the best excuse for doing nothing.